Serendipity Reviews: Guest Post: Victoria Schwab gives us the low down on Witches! 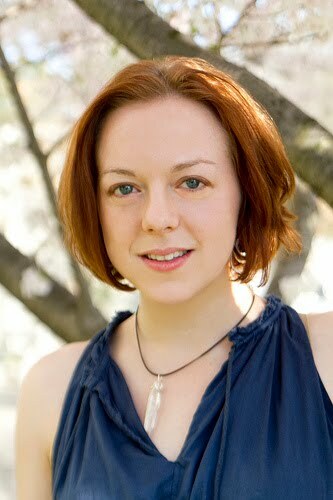 Guest Post: Victoria Schwab gives us the low down on Witches! 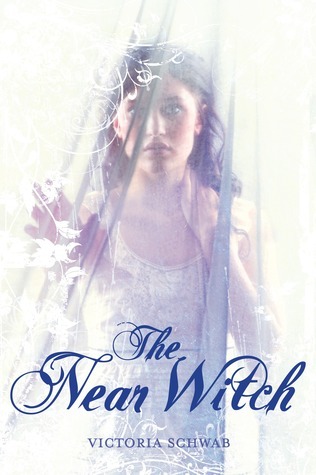 Victoria Schwab is the debut author of The Near Witch and I am so pleased she could join us on the blog today. Victoria has written an excellent post explaining all the different types of witches you can find. One of the reasons I love writing witches is because of all the supernatural forms, -witches are one of the most flexible. Where vampires and werewolves and angels never stray too far from a set of rules (rarely do vampires love sun, or werewolves balk at the moon, or angels act like non-angsty normal people), witches can take ANY shape. Their versatility, paired with their timeless appeal, makes witches an ever-popular and ever-awesome supernatural group. But they do have some recognized forms. From Hocus Pocus to the Craft to Charmed, we see coven-based witches joining hands around herbs, a spell book, a cauldron. Their power comes from their numbers and they tend to be bound by rules/spells/guides/structure. Solo witches on the other hand, while they can derive power from their proximity to others (hey, hey Willow) they don’t require a group, and are generally more powerful for their lack of dependency on aid. As far as power, a witch’s magic can be tied to others, or to a conduit such as a wand. It can stem from spell books and incantations, or from will alone. The witches in Near are elemental, and they require little more than desire and focus to summon their magic, whereas witches in other books must recite specific words, or use blood or another form of sacrifice to access power. On the spectrum of power, Natural Witches, those who operate on will, even without training, who seem to be tapped into the vein of magic in the world, are the freest, and often the strongest. Elemental witches are nearly as free, but they’re bound to the natural world, and often are limited to a single element. Blood witches exist on the line between rule-bound and free-form, since they have a ritualistic component. Wand-and-Spell Witches are even more tied to ritual, but their potential is often limitless because their power can grow through practice, discipline, and refinement. Potion-and-Cauldron Witches are the most structured, because they are both bound by rule (the potion) and form (the cauldron). They tend to be limited/weaker in terms of power. Other: <--This is my favorite part about witches. Don't see the kind you want on this list? Write a new form for witches to take! A note: any of the witches on the spectrum can accessorize, sometimes with pendants and sometimes with familiars (animals). And there you have it! A quick look at some of the witches on the power spectrum (and probably more than you ever wanted to know). So next time you set out to read or write a witch, ask yourself what shape they take and why. Thank you Victoria for such an informative post. I love Terry Pratchett's trilogy of witches. They are all powerful on their own, but are most powerful when the three includes The Maid, The Mother and The Crone (Hag) -- as witches in his world (Discworld) must embody one of those three forms. I know you love Gaiman, but Pratchett I think offers a world that is as insightful but perhaps a bit less dark, ultimately. If you haven't read The Wee Free Men, I highly recommend you meet Tiffany Aching -- the first, and still one of the best, elemental witches I ever met in a book. Jenni - fab isn't it. Jodi - I do know Tiffany Aching! I read all three books with her in. I was recommended them last year. They were fab. Fantastic post! Witches are my fave supernatural being (alongside vampires) and I love the versatility of them...makes reading books with them in much more interesting! This is one of the best posts I've seen in a while. Of course it helps that witches are my favorite supernatural out there! Cait - I think witches sit alongside ghosts for me. I love them both equally. Darlene - isn't it fabulous. I am now a huge fan of Victoria's and can't wait for the next book. I didn't realise there were different kinds of witches. I thought there was just good and bad lol. Very interesting post.